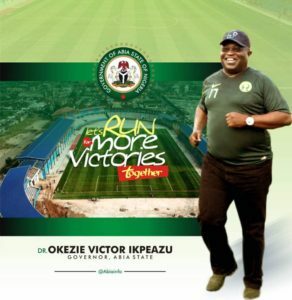 Abia State Governor Dr Okezie Ikpeazu has finalized arrangements to sue Mr Uchechukwu Ogah the President Of Masters Energy Oil and Gas To Court for parading FAKE Inec Certificate of return purportedly issued to him by INEC National Commissioner in charge of South East Mr Lawrence Nwuruku. 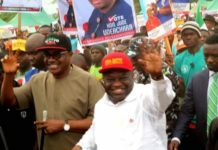 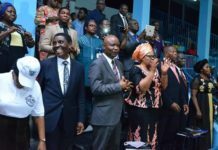 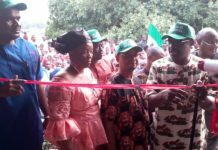 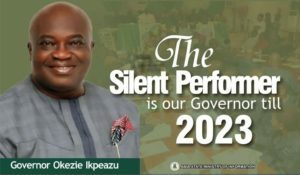 PUO REPORTS Exclusively gathered from a Government House source that the legal team of Governor Okezie Ikpeazu has been commissioned to file a suit against Mr Uche Ogah at the High Court on Monday the 25th of July 2016. 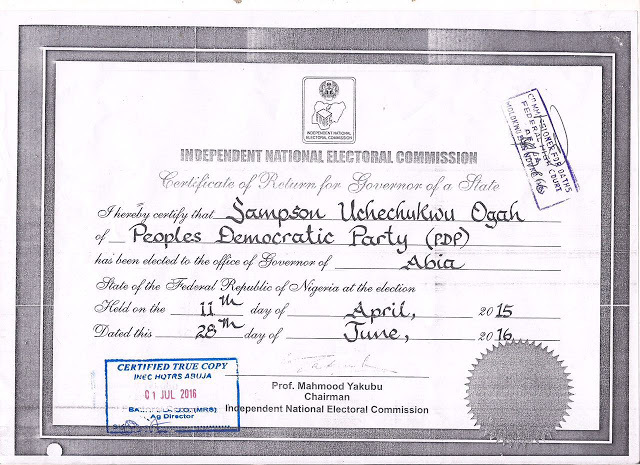 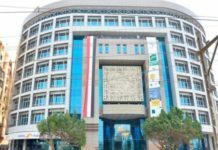 It was gathered that the Certificate of return issued to Mr Uche Ogah has been discovered by Sources at the National Headquarters of the Independent National Electoral Commission to be fake because the certificate did not bear the Nigerian Coat of Arm like others including the one issued to Governor Okezie Ikpeazu by the same Commission. 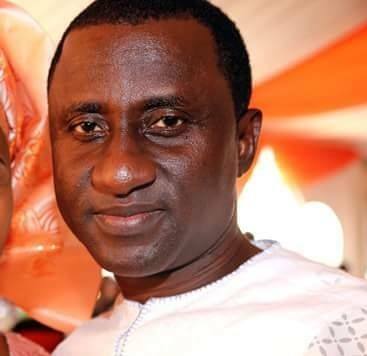 It was further discovered that in a bid to execute a clear civilian coup,actors at the INEC office in Abuja hastily arrange for a certificate of return for Mr Uche Ogah indicating that he won the Abia State Governorship election held on the 11th of April 2015,while on the said date,the Commission declared the election inconclusive. 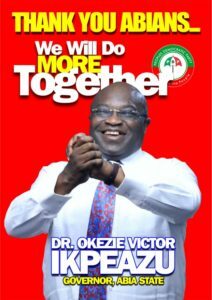 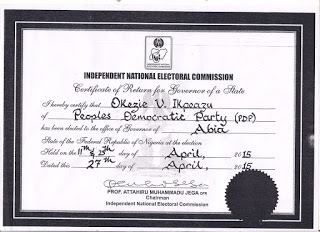 In the Original Certificate of Return issued to Governor Okezie Ikpeazu,it was clearly written that he won the Abia State Governorship election which held in Abia State on the 11th and 25th of April 2015. 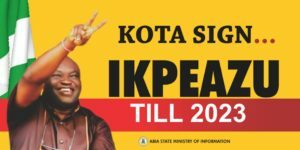 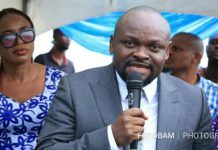 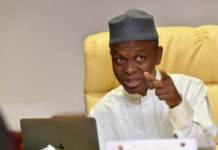 PUO REPORTS reports that Justice Okon Abang of the Federal High Court who delivered the June 27th Controversial Judgement in favour of Mr Uche Ogah refused reading the letter from the Chairman of Abia State Board of Internal Revenue,who are the makers of the Tax Clearance Receipts Governor Okezie Ikpeazu presented to INEC during the 2015 General Elections.